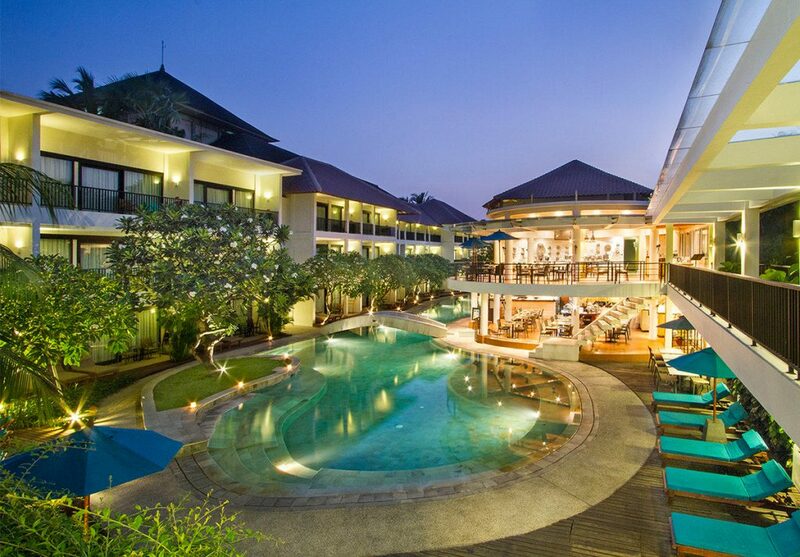 Nilamani Hotels has announced the signing of a lease agreement with Flight Centre Travel Group’s subsidiary BHMA Hotels and Resorts, to rebrand and reimagine The Camakila Legian Bali. The popular 4-star beachfront Legian property, comprising 117 rooms, two dining venues and a spa, has been reintroduced as Away Bali Legian Camakila, the first Away brand outside of Thailand. “This strategic long term agreement allows us to focus on our core passion as hotel developers,” said Javier Salgado, Executive Vice President, Nilamani Hotels. “With the expertise and commercial strength of Flight Centre and BHMA, The Camakila Legian Bali Legian will be able to unleash new potentials and opportunities as Away Bali Legian Camakila,” he continued. Nilamani’s asset portfolio will reach over 800 hotel rooms in the near future with three more hotel projects in the pipeline, starting immediately with the construction of two brand-new beachfront lifestyle hotels in Legian, Bali, set to open in Q4 2019 and 2021 respectively. “In addition to the two new hotels in Bali, we have very exciting plans for another lifestyle hotel development in a triple-A location in Jakarta CBD to be completed in 2021.We are also actively looking for investment partners to transform a large site of 2.4 hectares in Bali into a unique mixed use development on the island,” said Mr. Salgado. In the meantime, Nilamani Hotels will continue to focus on managing their properties in Bali: The Sakala Resort Bali, a 261-room five-star property, The Sakala Beach Club, and The Tanjung Benoa Beach Resort; a 189-room four-star property with its signature Thai and Indian restaurants, named Tao and Rotichai. With an ever-expanding portfolio and more projects in the pipeline, Nilamani Hotels management prides itself in providing guests with an unrivaled experience in many areas of Bali. With the development of the new properties around Legian area, Nilamani Hotels also expands more benefits of Nilamani Prestige for repeating customers. In Nilamani Prestige programme, loyal patrons will receive substantial exemptions, rewarding benefits and exceptional perks for every repeating stay at all Nilamani Hotels properties with more options in the future.